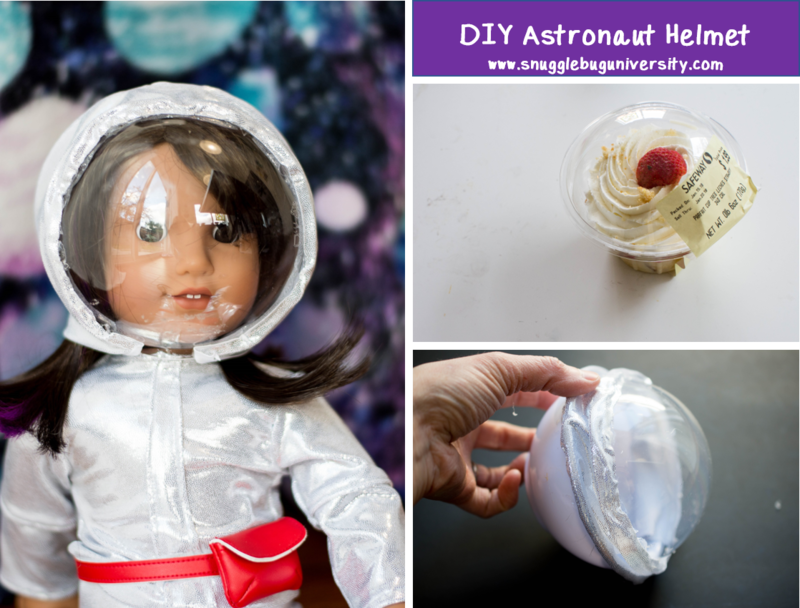 Snugglebug University: Make an astronaut helmet for your doll! Make an astronaut helmet for your doll! Is it just me or is February flying by? 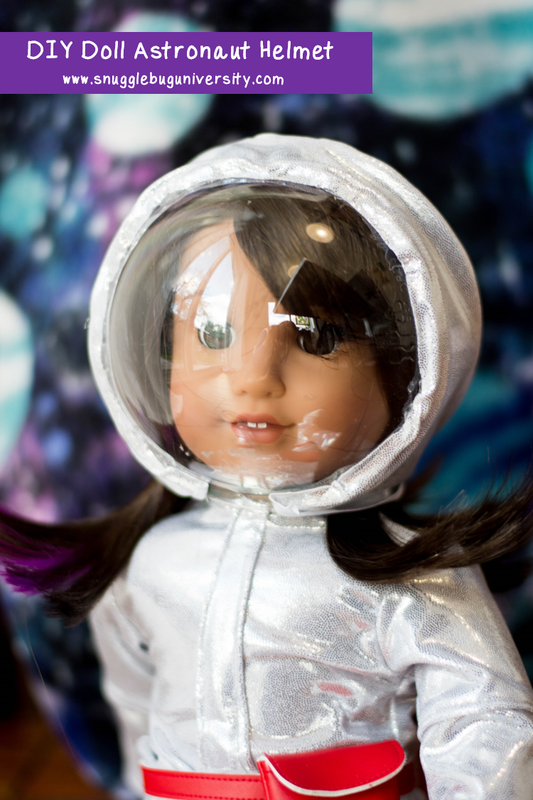 I'm pretty sure that Lu's main goal in life right now is to make sure that every spare moment I have is spent helping her make something for her doll. In all honesty though it's been a lot of fun! 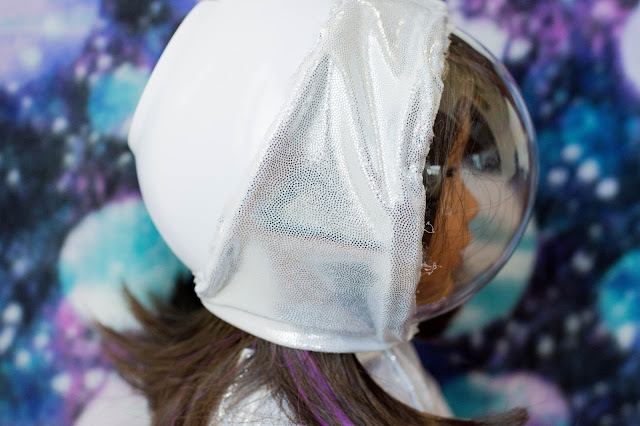 This astronaut helmet was on the top of her wish list every since she brought her Luciana doll home January 1st. I think we came up with a pretty creative solution! Can you guess what we made it from? It's from a little plastic top from a dessert parfait! The back side is a little plastic bowl that I found at the dollar store and I attached the front and back with a small piece of performance fabric. small plastic white bowl, about 5 inches in diameter (I found mine at the dollar store. To make the helmet we just glued the fabric to the rim of the bow. I started in the center, and then glued down each side. 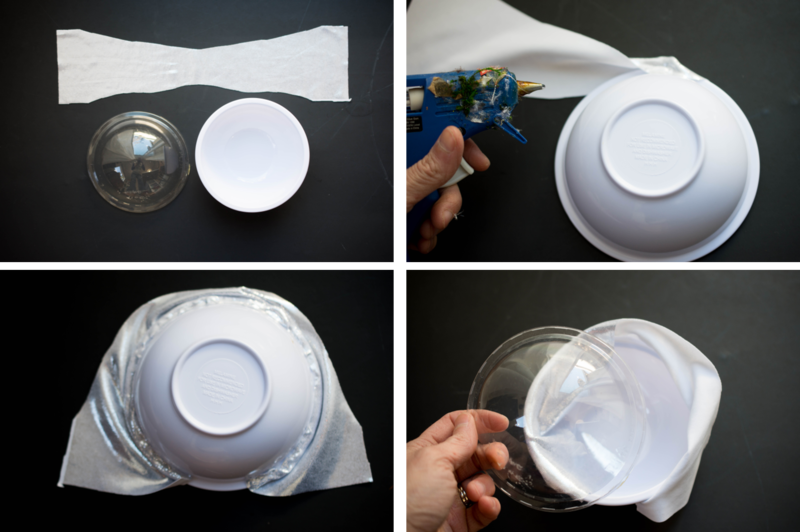 Once finished attaching the fabric to the bowl I repeated the process to the parfait lid. 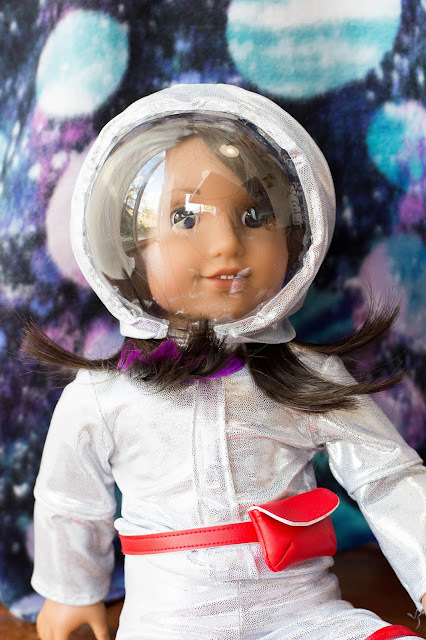 Easy peasy and no sewing involved!! This was such a fast and easy craft! Totally my favorite kind! Now I'm off to make some PJs with Lu....I'm pretty sure this project will take a bit longer! 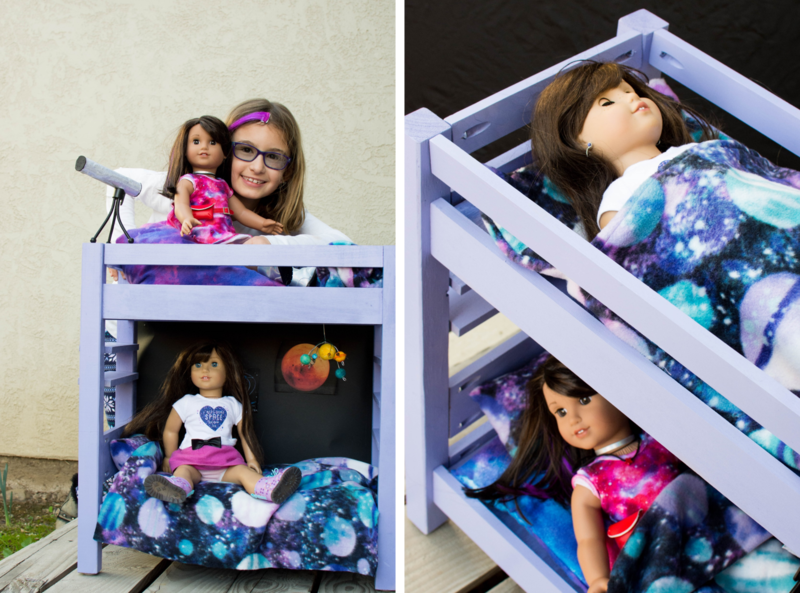 If you like this post you might also be interested in these posts, like how to make a Doll bean bag chair or bed! 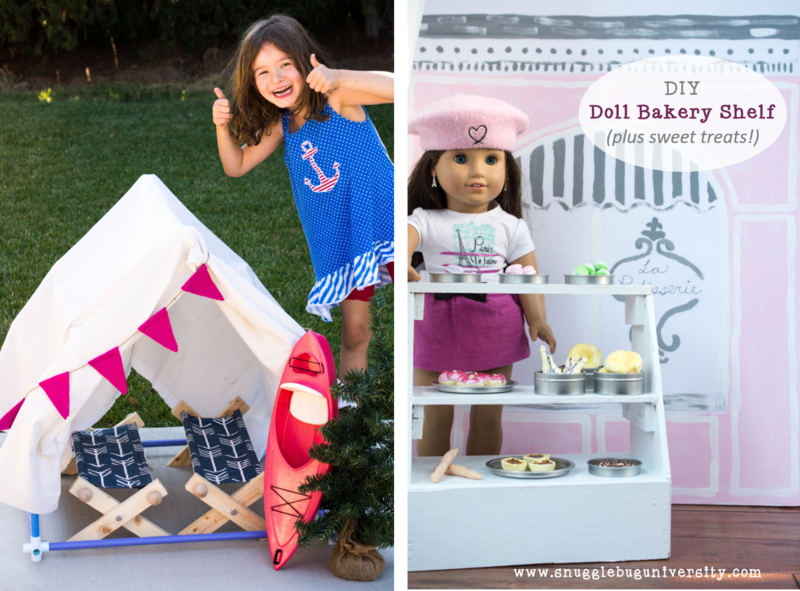 and these doll cots and the bakery treats and stand. 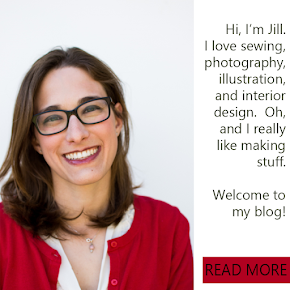 Hi Jill, this is amazing! You did really well with making a wish come true. My little guy loves playing space stuff. We don't have a doll, but I'll keep this idea in mind for our dinosaurs and action figures. 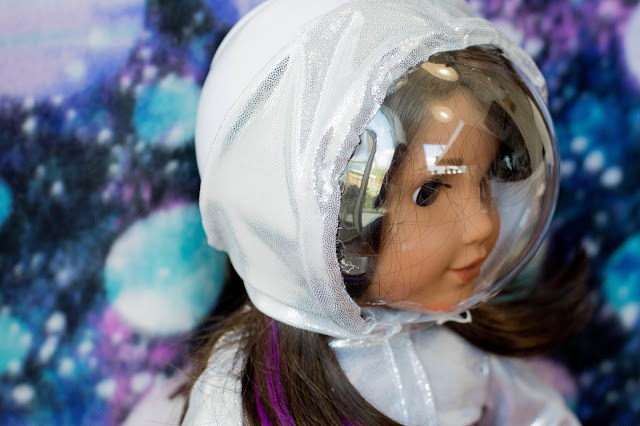 I can feel more ideas for these little plastic domes coming... Thanks for the suggestion! Ah, thanks so much Vera for your sweet comment! Happy crafting with those little plastic domes! I'm sure your little guy will be thrilled!